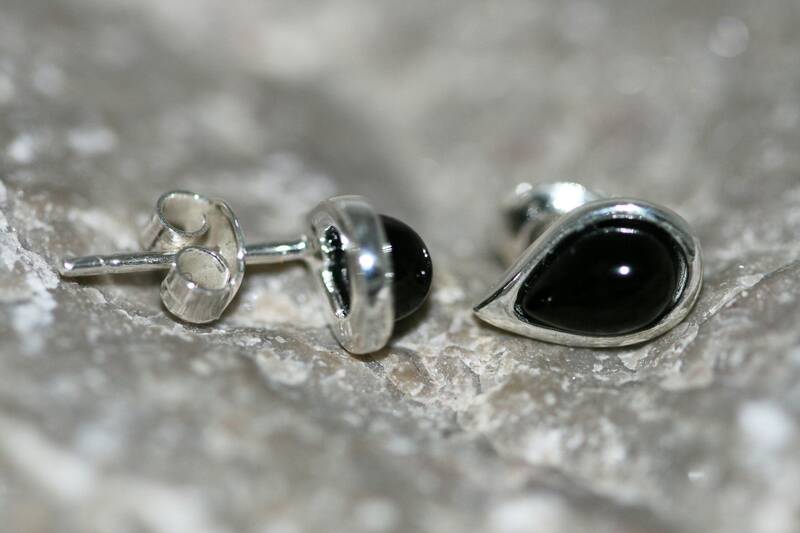 Elegant earrings with Whitby Jet fitted in an original sterling silver setting. Classic and elegant design inspired studs. Size of the design: 6 mm wide and 10 mm long which is 1/4 inch wide and 3/8 inch long. 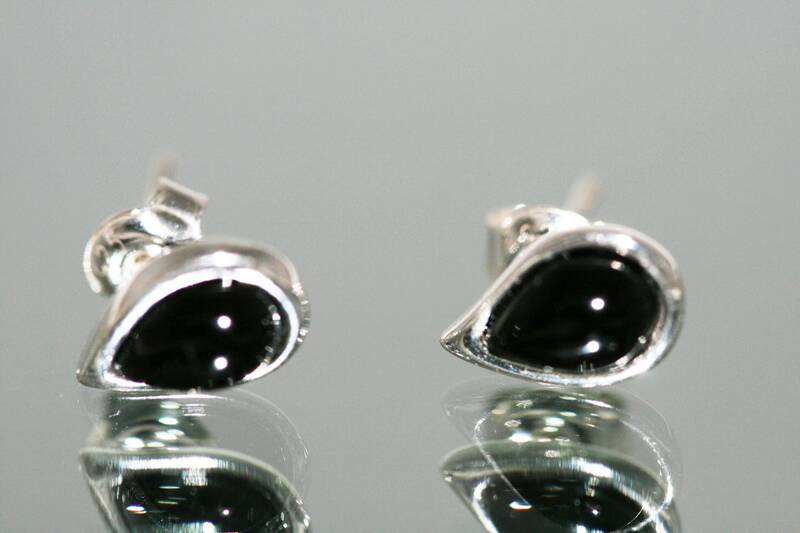 Perfectly polished Whitby Jet set in 925 sterling silver setting. 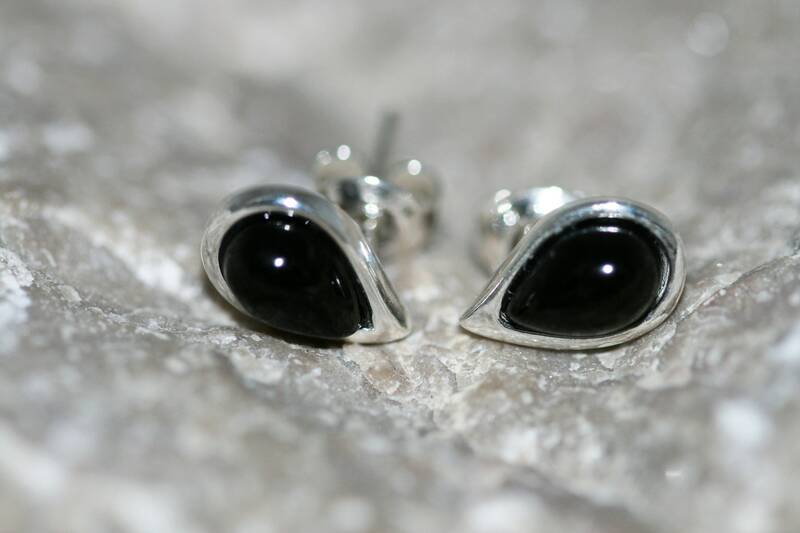 Art Gemelli is a family run silversmiths workshop of unique, handmade jewellery made of sterling silver and semiprecious stones, predominantly Malachite, Amber, Jet and Lapis. We source our Jet from north-eastern coast of England around ancient Whitby Abbey. All our jewellery is handcrafted.